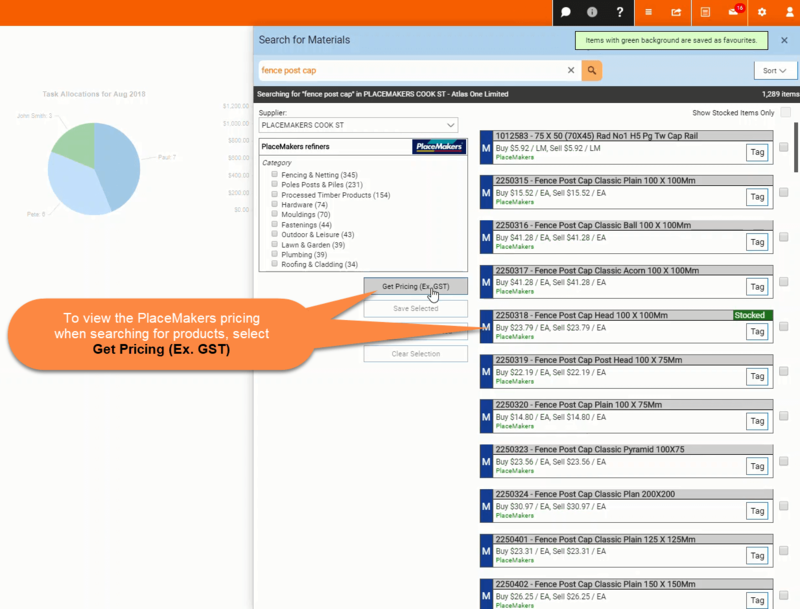 PlaceMakers price book product search – Welcome to the NextMinute support and feedback centre. 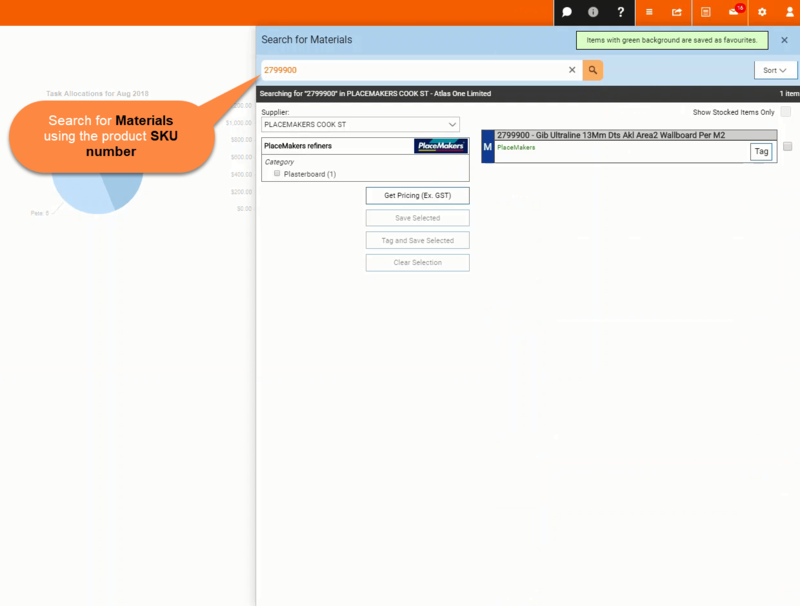 Easily search for Materials from the PlaceMakers price book within NextMinute, via Live Price Book or when adding Materials to Job Charges, Invoices, Quotes and Orders. 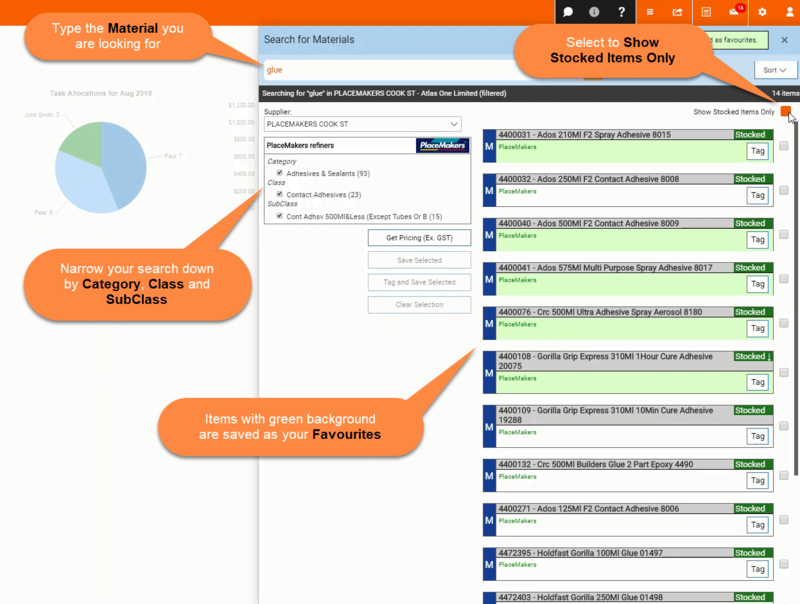 Note: In this example below we are searching for and saving Materials via the Live Price Book feature. The video above is adding materials within Job Charges and these same steps apply for adding materials to Invoices, Quotes and Orders. Also search for products and materials currently in stock by selecting Show Stocked Items Only. 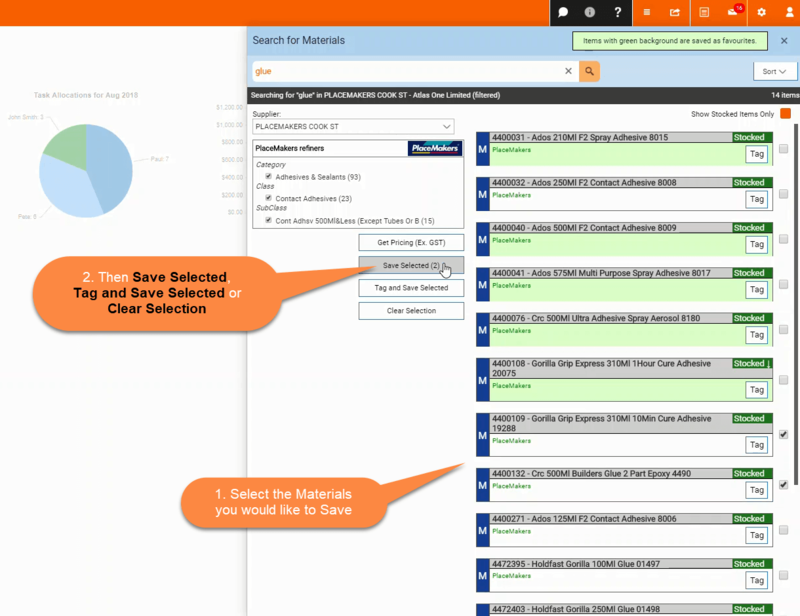 Select the material then save selected, tag and save selected to view a material by a particular category, or clear selection. 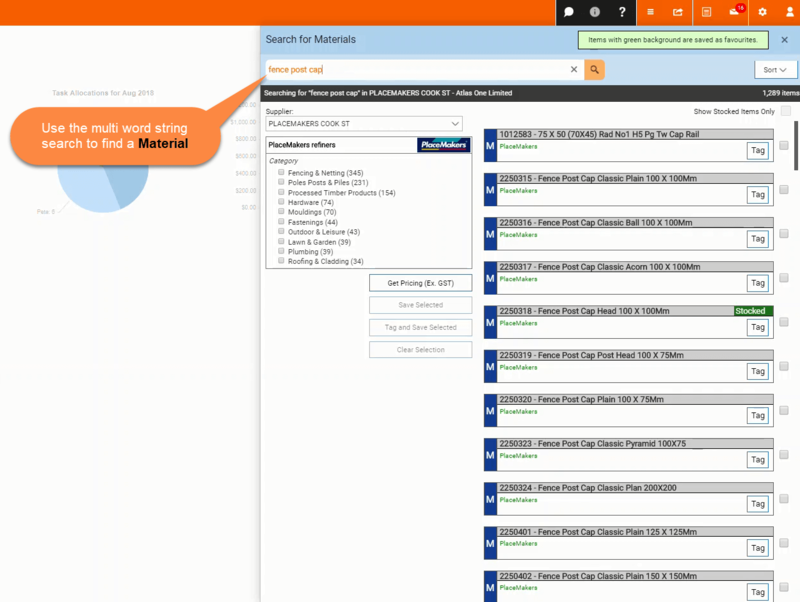 Search for products and materials from PlaceMakers and show Pricing (Ex. GST).